We know that being a homeowner comes with plenty of upkeep and maintenance – especially before and after the gruelling winter months. 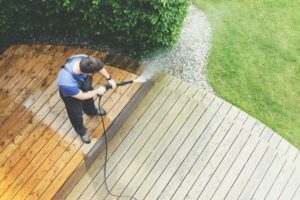 But when you’re taking care of the family or focusing on your professional career, you shouldn’t have to spend your downtime tackling home renovations or maintenance tasks, like power hosing the deck, painting, or repairing the windows. Well, that’s where we can help! At To Do-Done, we provide a wide range of handyman services that can handle all of your upkeep and renovations so that you can dedicate your free time to what really matters most. Take a look at some of the services we have to offer. Whether it’s the bathroom, bedroom, kitchen, or even an entire home renovation, our team can create what you’re looking for. Want a home theatre room in the basement? No problem! Interested in updating the kitchen? We’ve got you covered! Whether you’re eager to update your décor and design or flip the entire house, we will work directly with you to ensure that your dream design can become your reality. Plumbing and electrical repairs, upgrades and maintenance are just one of our many specialties! It takes an experienced professional to perform such a sensitive job as one associated with your home’s infrastructure, which is why we employ fully Ontario-licensed professionals. Whether you need a leak repaired, new wiring or a section of troublesome piping replaced, we can help. Our team is fully insured and bonded as well as WSIB covered, and we’re ready to deliver professional service quality you can count on. Doors and windows can endure a lot of abuse during our Canadian winters. And when they begin to falter, they can send your utility bills soaring. Plus, it’s not an easy task for homeowners to take on themselves. Our certified installers can repair and install your windows, doors, screen doors and also enhance your insulation and weather-stripping when needed. Although many indoor home maintenance tasks can usually be carried out by homeowners, finding time to dedicate to them can be a big challenge – especially when you’re juggling a family or your busy career. So, give us a call! No task is too big or too small for us to handle. Whether it’s assembling the crib for your baby, installing light fixtures in your bathroom, installing new smoke detectors, or general maintenance like clearing drains, painting, or changing the furnace filters, you can count on us. Having trouble trusting someone with working on the trees on your property? Give us a call. We’re now offering certified tree services handled by experts – to be specific, an ISA Certified Arborist! They know what’s best for your trees and, with their help, our team can handle everything from structural pruning and cabling to risk assessment, hedge trimming, stump grinding, tree removal and planting, and much more! Maintaining the exterior of your house is important. And once the snow and ice have cleared away, it can leave your home looking a little battered. Buckling porch steps, clogged or broken gutters, loose interlocking, and grimy surfaces are all common things we face when taking that first look around the exterior after winter. If you notice any areas that could use some help from our team, we can clean, repair and replace whatever is necessary. Wondering how much our services cost? Our dedicated team of service professionals charge between $40 and $60 per hour, including the latter when it comes to Arborist fees. However, since we perform such a variety of different services, this will change depending on the complexity of work involved and the duration it takes. There is also a minimum of 4 hours per appointment required. For certain odd jobs that require less than 1 hour, the rate is $99. Please contact us for our licensed electrician and plumber rates! Detailed on-site estimates can also be provided for any large, complex projects. 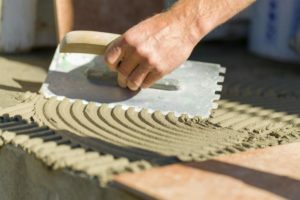 When it comes to taking care of your home, our renovation and handyman services can cover just about anything you throw our way. We believe you shouldn’t have to dedicate the little free time that you have to the constant upkeep and repairs around the house. Allow us to provide the services you need – no matter the size – so that you can enjoy your beautiful home, maintenance-free.